Mata Mata is one of the three conventional camps in the Kgalagadi and lies on the eastern border of Namibia with the convenience of a border post. One can enter and exit Namibia at this post if you stay in the Kgalagadi Transfrontier Park for two nights, preventing the park becoming a transit route, which is obviously a good rule. Namibia has vast distances and travellers more often than not underestimate the travel distances and times. I too made that mistake. Not so much in my planning, but more so in my execution. Enjoying the goodbyes with Francois and Talitha, the showers in Twee Rivieren and the game drive from Twee Rivieren to Mata Mata too much, meant that we exited South Africa about three hours later than initially planned. We still had 570km to cover from Mata Mata to Sesriem, and it was already after lunchtime. Of the 570km 90% was dirt roads, which translates to at least 8 hours of driving. Its normally not a problem, but this being wild country with plenty of wild animals, its not wise to travel after sunset. That clichéd quote ‘its better to travel hopeful than to arrive’ really rang true that evening, with frequent encounters with oryx, zebra, kudu and other large animals roaming the roads in the dark. Fortunately, we travelled well and arrived safely at Sossus Oasis Camp Site, Sesriem. Namibia must be one of the best-kept secrets and I actually don’t want to promote it too much through my blog, as I’m afraid of more people traveling there and spoiling it for us selfish ones. It is pristine, wild, mostly dry, tranquil but rough and expansive. And why I have a very selfish stance on trying my little best to keep it that way is because people spoil things. Sitting and enjoying our campfire late afternoon the next day, sipping a Pinotage from Tulbach and not speaking much, the serenity was abruptly ended by an Englishman and a German entering a particularly abusive shout-fest over their camping spot and access to the electricity. Right there and then, Europe spoiled a perfect African setting for the better part of an hour. But the rough beauty of the place convinced me to ignore them and enjoy the splendour of God’s creation. Though Lufthansa may be at risk, due to their lack of customer service (see my previous post Flight LH572 July 22, 2016 : An ugly story), we eventually did arrive in South Africa, and we did enjoy all the promised ‘braais’, ‘kuiers’ and catch-up with all and sundry; exactly the things Expats do when returning home for a visit. 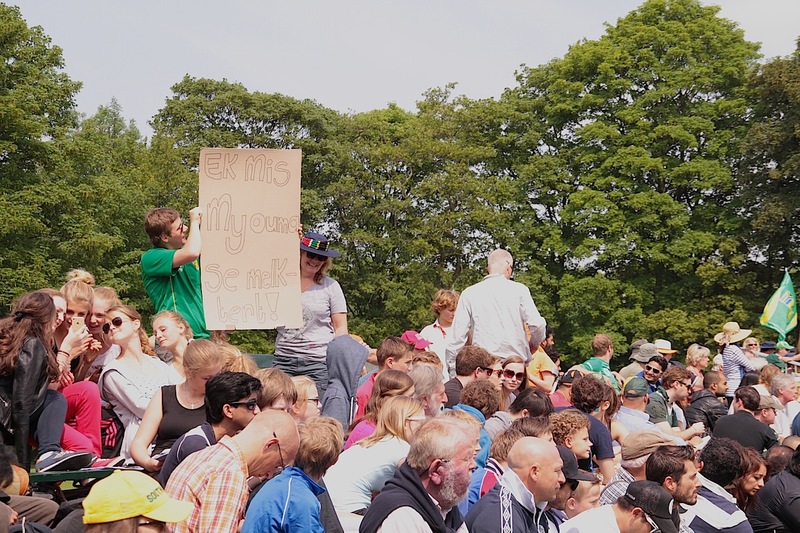 It was fortunately not ‘allesverloren’! A truly special place is the Kgalagadi. 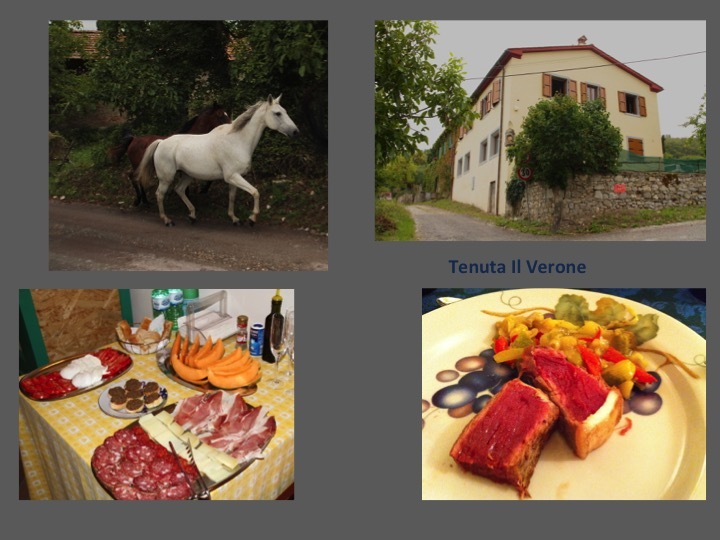 Its one of those places which I truly wish I could show off to everybody I meet in Europe. It’s a pristine wilderness in the dry western parts of South Africa and Botswana as God intended and where wild beasts roam freely. The Kgalagadi Transfrontier Park is one of the most pristine conservation areas on earth, and that was the first destination of our two week Kgalagadi and Namibian safari. Special places require special equipment. Though the Kgalagadi Transfrontier Park has normal dirt roads and its theoretically accessible with a sedan, its not advisable. Even when the roads are well maintained, you are still confronted with high sand walls next to most of the roads, which means while we are scanning the wide plains for Oryx, Springbuck, Lions et al from the raised elevation of the Land Rover, the sedan driver scans a meter high sand wall for ants, grouse and desert rats! To fully enjoy the Kgalagadi, one needs to have a bakkie, kombi or similar high, big tyres vehicle. 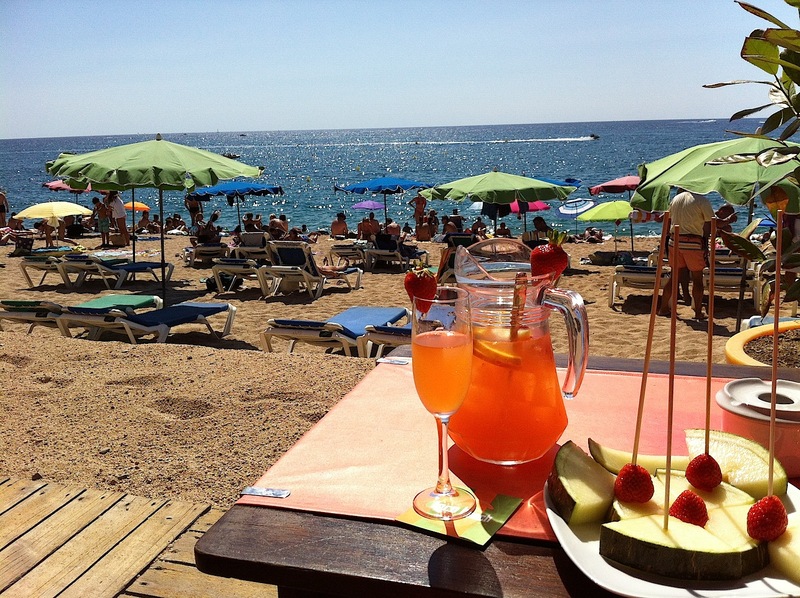 Costa Brava, taking the plunge …. The Europeans are a classy bunch, well, mostly. The high fashions of Paris, Milan and London are well known across the globe and browsing throung the streets confirm this. At this very moment I’m sitting in Extrablatt am Neumarkt in Köln having a breakfast and I’m amazed at how well dressed every-one around me are. Scarfs, jackets, boots and cardigans of the highest quality, design and fashion are in abundance. Even jeans are wore with style so typical of European way and not in the casual way the Saffas will wear them. Its not always easy to put your finger on the exact difference, but the general look certainly is different. But, ‘o my word’ the Europeans are bad at beach attire! The men, I specifically mean the men, are incomprehensibly bad when it comes to dressing for the beach. Let me put it clear that I find very little fault with the swimming attire the European beach-going ladies wear (or not wear). But why the men have stuck on wearing only ‘speedos’ or even worse, those tight fitting little trouser costumes with the short straight ‘legs’ sometimes even with the little fish belt and buckle, that I last wore as a five-year old boy back in the sixties, I simply cannot comprehend. As soon as a boy turns 7, the mom should put him in baggy shorts, and nothing else, and that is what he should wear to the beach for the rest of his days. But then again, its probably better for them to wear those ugly costumes, than the few (mostly guys, it seems) who wear nothing and parade around on the fringes of some normal family beaches in the Adam suits. These Europeans surely have some strange habits. we decided to try out the very popular RV (recreational vehicle) or camper van as they are also called, as means of transport and accommodation. I am used to camping; in South Africa, I own a 4×4 trailer and we have done many off-road camping trips to nature reserves, wild life areas such as Baviaanskloof, Marakele, Mapungubwe, Kruger National Park, Botswana and Swaziland. Take note, these are all remote wilderness type destinations, none are beach holiday ‘caravan parks’, which means the shear thought of camping in the RV in a crowded caravan park where the tent ropes of your neighbour stretches into your braai area was daunting, to say the least. I do, however, believe in trying out new things first and then decide whether its good or not in stead of just writing them off from preconceived perceptions, thus entered behind the wheel of the monster camper with some uncertain anticipation and hit the road. Many of my travel companions in the past must have rued traveling with me, as I tend to add time and kilometres in curiosity of places and other roads than the obvious straight line. 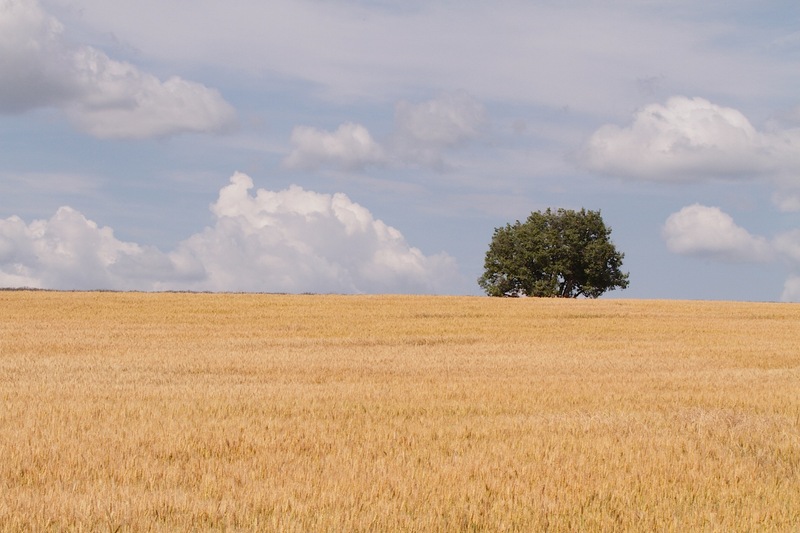 The result of this was that we added 600km to our already 1200km trip from Köln to the Costa Brava but the positive is that we were able to explore the Loire Valley of France and to witness the decadence of the royalty of 16th century France. 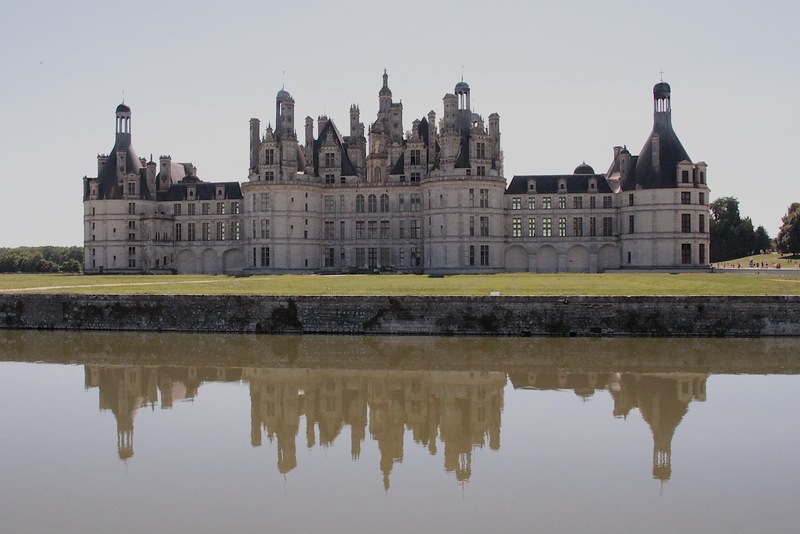 The architecturally magnificent Chateau de Chambord being one fine example of this decadence. This castle was built for François I in the 1500’s and took 30 years to build. It was built as a ‘hunting lodge’ and apparently with money laundered from the church. Must have been some hunting party when these guys came together to shoot boar as this chateau has 440 rooms. Since it was built in the wild and for hunting purposes, the effort and cost to furnish it was so vast that it was never furnished on permanent basis. Each time it was used, everything was brought with the hunting party; imagine that! No wonder François spent only 7 weeks there in all his life, and no wonder the French revolted some 250 later. Our end destination was Lloret de Mar (pronunciation lesson nr 14, Lloret is pronounced Joret as double ‘l’ in Spanish is a ‘j’. Disclaimer though for the Capetonians, please don’t start calling Llundudno Jundudno as it is named after a Welsch town, not a Spanish one). Lloret is a smallish town on the spectacular Costa Brava, some 70km north of Barcelona and this is where my daughter decided to spend the next 8 months to learn Spanish. I too asked the question ‘why learn Spanish in Cataluña?’ but when I saw the beauty of Lloret de Mar, any other reason wasn’t required anymore. With beaches (ignore the men in their bathing shorts for proper comprehension here), cafès, villages, parks, horse-riding and Barcelona at her doorstep, it will require some discipline to focus on the studies, thus preparing her well for what lies beyond being able to speak Spanish. 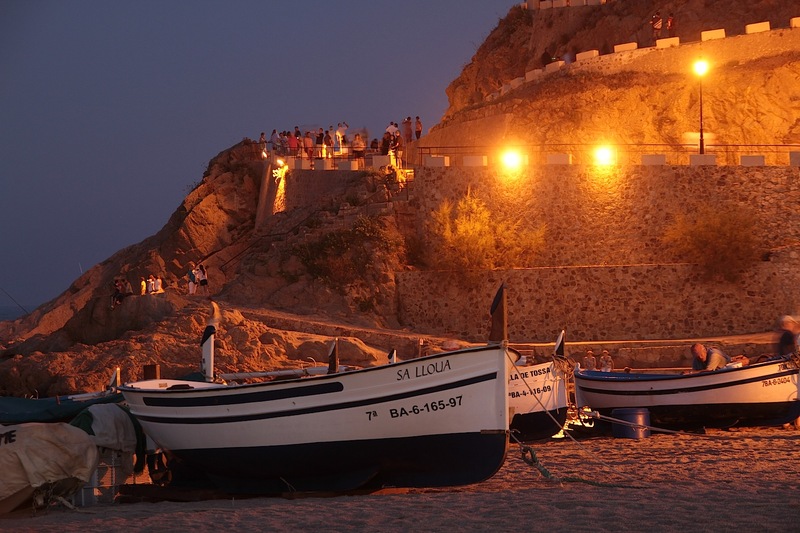 Lloret de Mar, as most of the towns on the Spanish coast, stems from old fishing towns where some remnants of the days gone by are still visible. 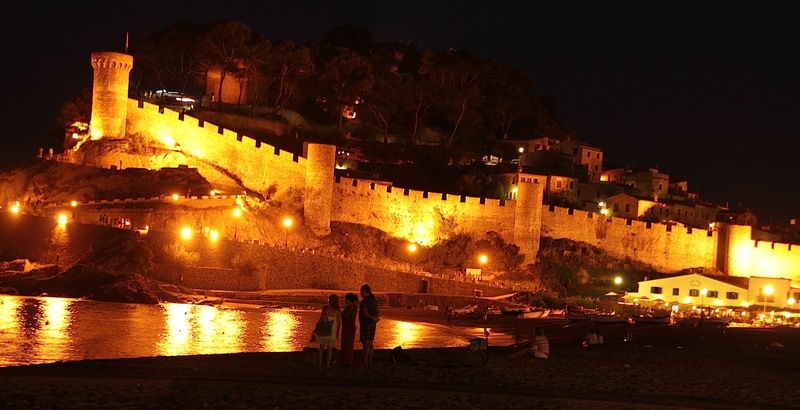 A pristine example of the ‘old town’ still relative intact is the walled old town of Tossa de Mar, a few kilometres north of Lloret. With a sandy stretch of beach lined with multiple restaurants where the tapas, wine and beer are excellent and the view across the sandy beach from your dining table exquisite. To the south the beach is intercepted by a rocky hill with the old walled fishing town and remains of the church still beautifully preserved. 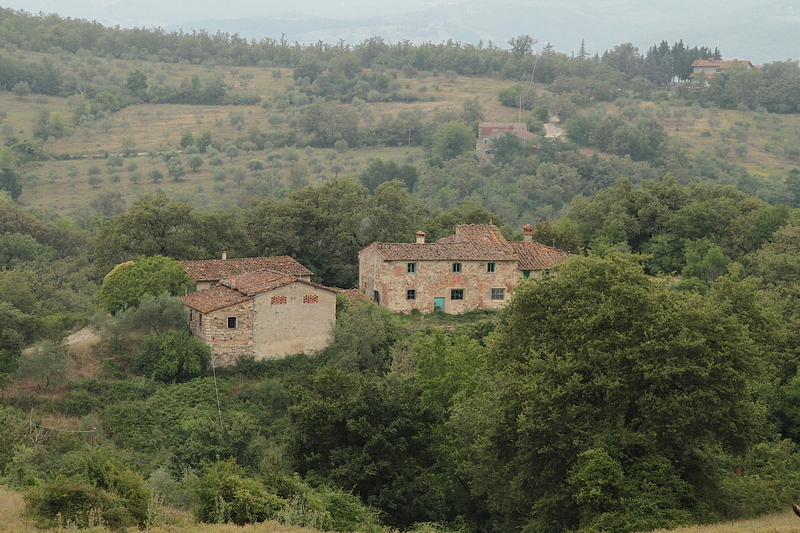 Walking the inside path of this old village provides the most stunning views across the roofs of the town to the west, the sandy beach to the north and the pristine rocky seaside to the south, and when we were there, the rising full moon over the Mediterranean to the east. We had to return home, the holiday was over, and Köln a long drive (10 hours for 450km in the August holiday traffic of southern France just to get to Lyon) away. Then the reality shock of returning home hit me and I realised that my family has now reached that first major change which happens to all families, but for which we were not nearly sufficiently prepared. We had to leave our eldest behind. Cara finished school in June and her first ‘after school’ objective is to learn to Spanish. This is why we headed to Lloret specifically, because this is where my daughter will stay for the next 8 months to learn Spanish before embarking on her university studies. It was one of the hardest parenting duties I have ever had to do, driving back home while your kid stays behind, in another country, nogal! But then, thinking about it rationally, I realised this is exactly why we moved to Europe originally. We came here for new challenges and opportunities and this has always been a major item on Cara’s bucket list, to live in Spain, learn to speak Spanish and to work with horses. That is precisely what she is now doing. Thus, slowly but surely we are fulfilling what we set out to do, sometimes with a very serious emotional shock accompanying the reality of our decisions, but also with the gratitude and a sense of achievement overshadowing that emotional hesitation. Still, as her younger brother said when we arrived home and the visiting grandparents also left for South Africa ‘our home is suddenly weird’. So, you go girl, take that plunge …..
It’s Provence, not blerrie Prôôôvince …. … where purple is the reigning colour, kind soft, nice smelling lavender purple! Thus you can see it can never be Prrrôôôvince as the Capetonians would so love it to be. Rather try the correct Pgôwaañs pronunciation with your lips truly spouted for that French flair effect. 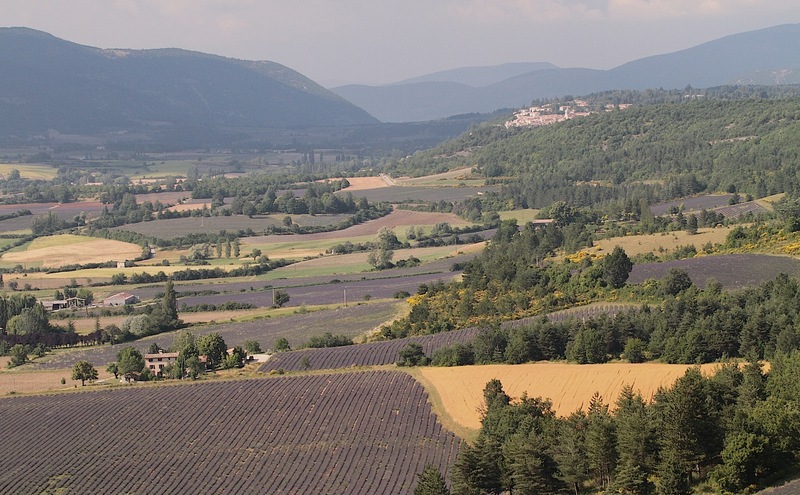 And then clutch your baguette under your arm, whether you’re wearing a shirt or not, and munch on your early morning croissant (apply same pronunciation rules as above) with a good, small, strong coffee and just look, smell, drive, walk, photograph and discover the real Provence. It’s so clichéd to try and write something extraordinary on topics such as Provence and the joys of sniffing out those little-town gems and little mountain roads since even old Julius, Brutus and the other Roman emperors spent their weekends enjoying the Provencal cuisine, baths, gladiator blood-sports, sights and sounds. 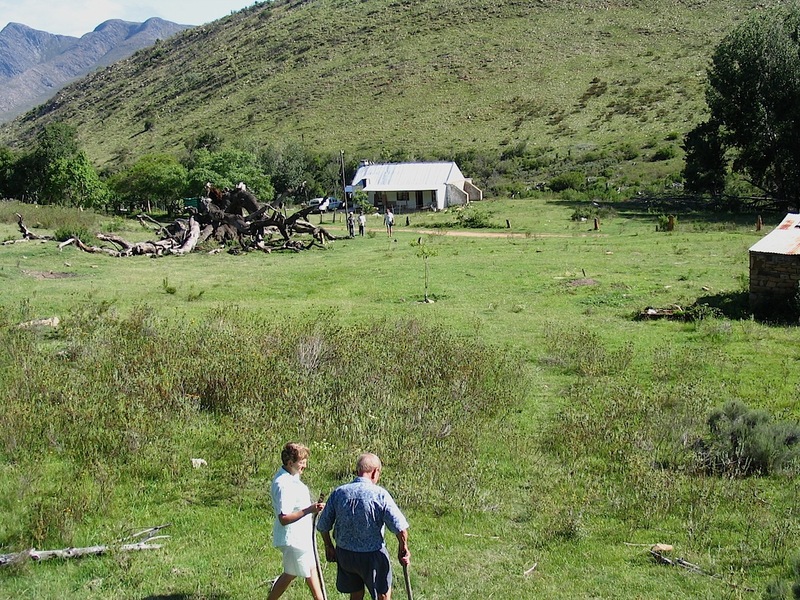 Jip, this part of the world is truly part of old civilisation, which means there’s so much more to see than lavender. Don’t get me wrong on the lavender thing, though. 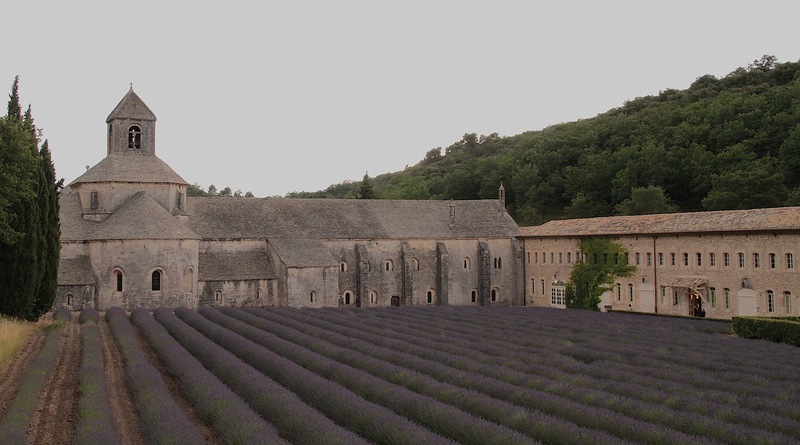 If you plan to visit Provence, it will be worth your while to plan your visit for late in July, early August, as the spectacle of blooming lavender fields and the ripe wheat fields adjacent are right up there with the likes of Namaqualand, Cape fynbos and Overberg canola fields in springtime. 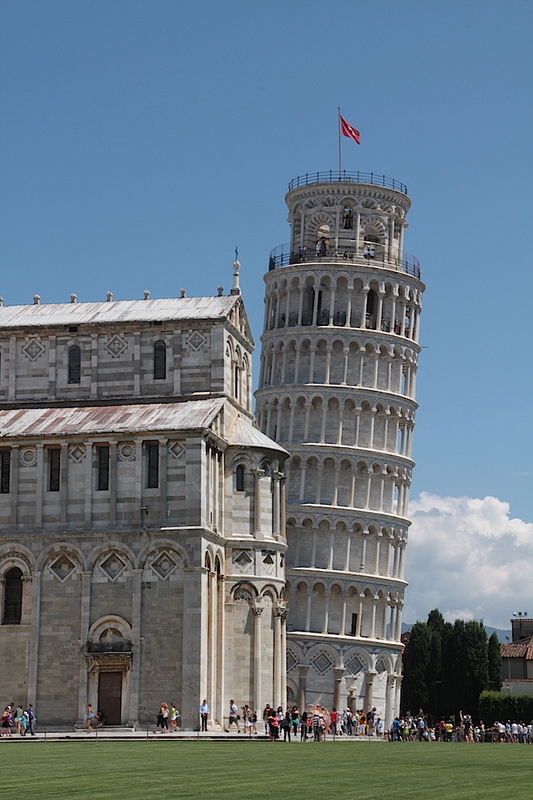 As with all quality tourist destinations, the big bugging factor is always the tourists! 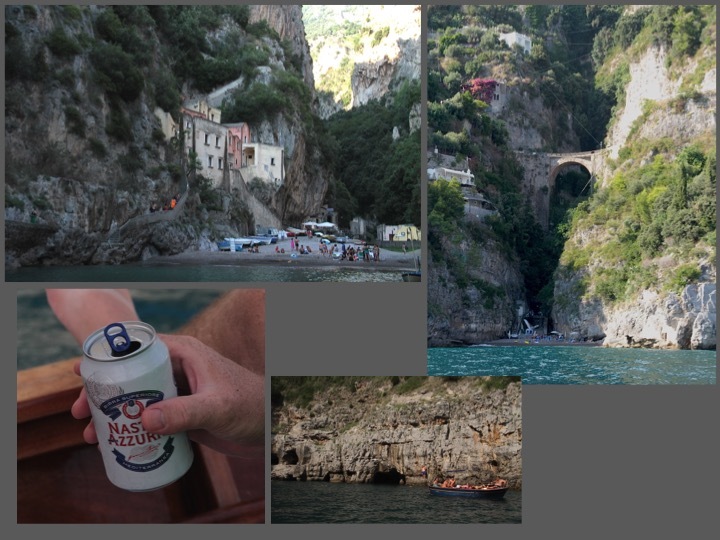 Here it’s obviously continuously present as well and it had me ponder the logic of a big bus tour-package rushing through rustic little roads with hordes of, …. well tourists being dropped off with a ‘be back here in 90 minutes cause there’s still plenty of places to see’ instruction from the guide with the little flag held up high. 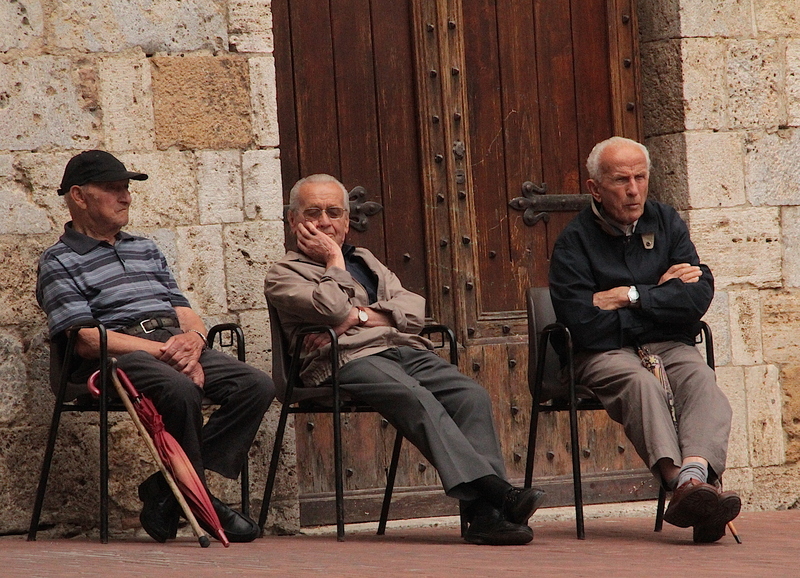 Provence is not a place for this kind of travel. Provence must be taken at leisure, with a glass of wine, something to chew on and with no fixed itinerary because you never know when you stumble onto that picnic spot that just needs to be tested with your baguette, Provencial sausages and cheeses, olives with herbs, salads and to be finished off with the local nougat for something sweet. 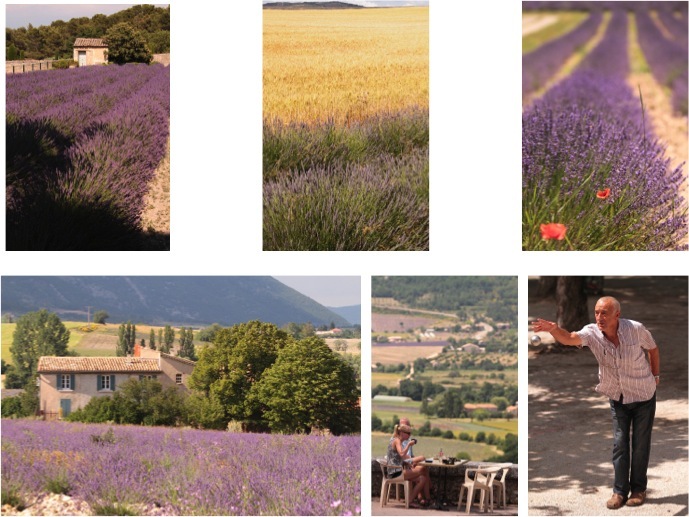 We were very fortunate to have the company of a sister and brother-in-law who accompanied us for a week of traveling Provence, likeminded travellers with very little emphasis on speed and plenty of focus on seeing, learning, tasting, and sipping the local stuff. 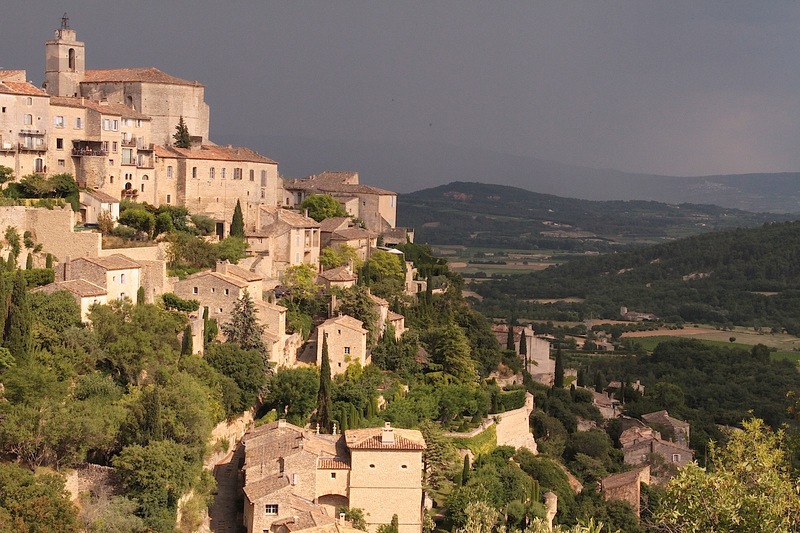 This resulted in us very quickly becoming too slow and enthralled for our rough initial itinerary, so much so that I had to bully them out of a Paris and Aix-en-Provence stopover to ensure we see the rural area ‘must-sees’. When I grew up in the 70’s and South Africa started our television broadcasting, one of the household favourites was a French translated series ‘Die meisie van Avignon’ (La demoiselle d’Avignon). South Africa was in love with the series, and probably the ‘mademoiselle’, thus I simply had to see if we could find her in Avignon, and planned our Provence trip to start there. 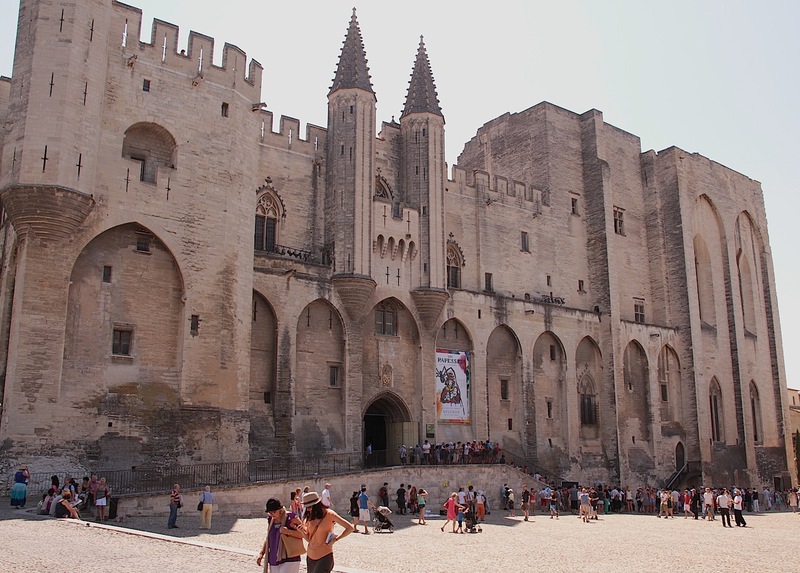 We did not find her, but what I did find was the immaculate walled town, stunning half bridge over the Rhône River and the incredible square and Palais de Papes. This is the papal palace where the Pope Clement V and his court settled when they fled Rome due to political turmoil. 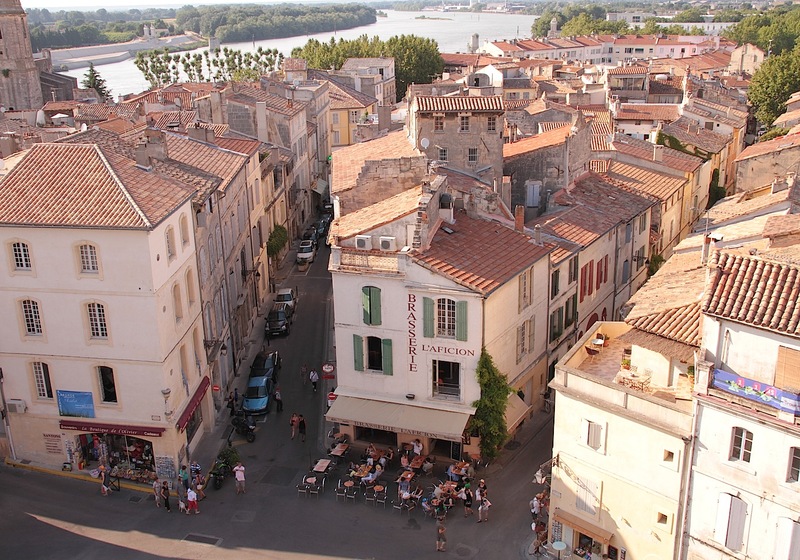 From 1309 to 1377 seven French-born Popes lived in Avignon, and even after Pope Martin V returned and settled in Rome, Avignon remained to be an important cultural centre. But way before the 1300’s this was the playground of the Romans. Though further north in Gaul some little village famously held out against the forces of the Roman Empire (with a little help and nutrition of wild boar and their druid’s magic potion), here in the south the Romans reigned supreme and build roads, aqua ducts, theatres and even an amphitheatre where they quenched their blood thirst on Saturday afternoons before going out on the town for an evening meal. 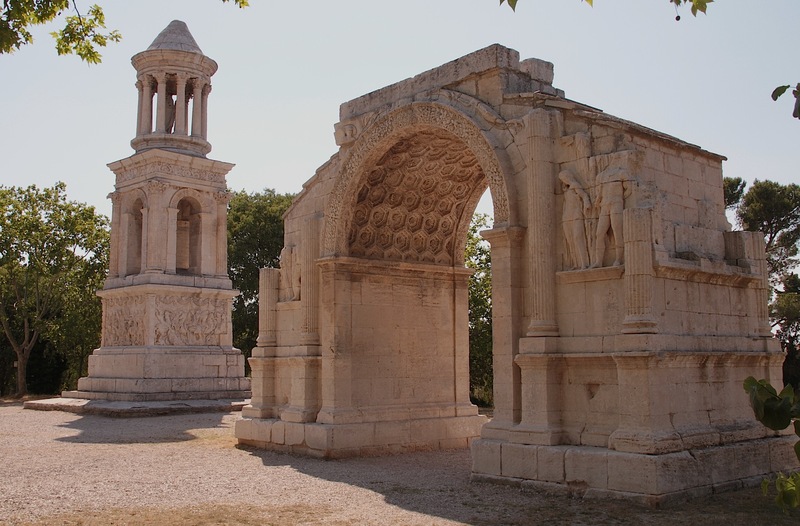 Magnificent remnants of those days are still widely visible with extraordinary views from the top of the amphitheatre over the rooftops of Arles, and a beautiful roman gate at the quaint town of Saint Remy de Provence. 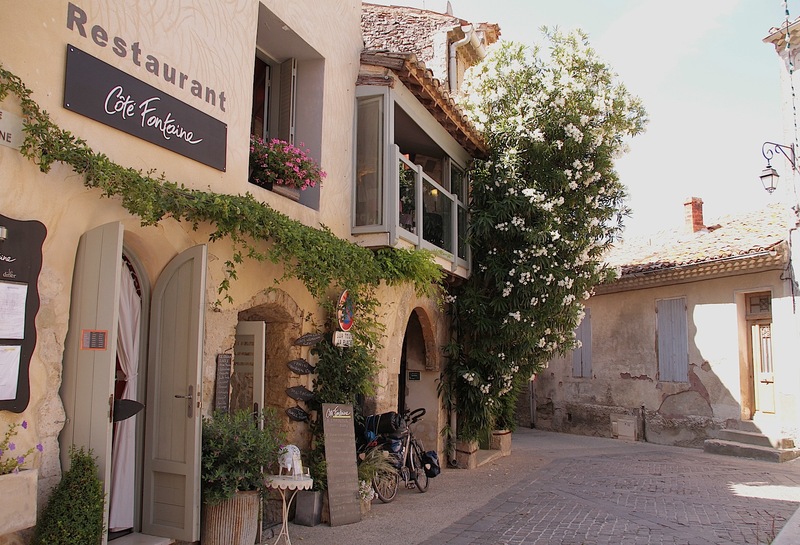 Many years later, here, at Saint Remy de Provence, just over the main street from the roman gate is where Vincent van Gogh voluntarily booked himself into an asylum in May 1889, just after he cut off part of his left ear in some bout of ‘eccentricity’. Though he was obviously in despair, he continued to be extremely productive, producing more than 200 paintings in a year while living in Arles. I get itchy for the rural areas and small roads very quickly and thus misused my position as driver cunningly by turning north-east and heading for the quieter Vaucluse area where the lavender fields were in full bloom, in abundance and surrounding age old towns of Gordes, Venasque and the amazing Abbey de Senanque. 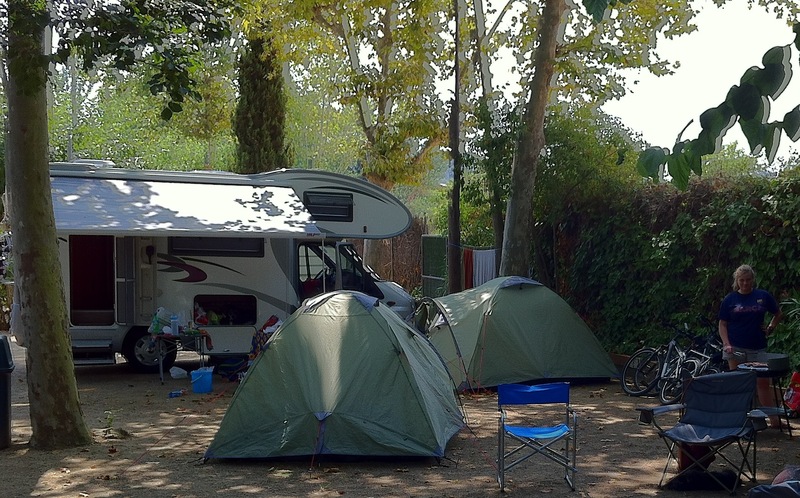 We pitched base camp in the gorgeous Malemort du Comtat. Malemort is slightly of the beaten track which means you can enjoy time away from the tour-bus tourists jumping into the frame of each and every photo opportunity, fiddling there hair into place, making themselves big into some Alexander the Great type pose just to run off to the next photo shoot, not even taking a look at what exactly was their background in the photo just snapped of them. Here we could spent two long evenings at two different venues amongst locals coming back from a hard days work and sitting down for a semi communal beer drinking evening, observing and interacting with them while enjoying the local herbs and flavours on olives, pizzas and hams (somehow I prefer the term jambon over ham for these local delicacies). Before heading back north after a hugely enjoyable week in Provence, we had to stop in Carpentras for the weekly market day. Maybe here a tourbus dropping you off and picking you up would not have been such a bad idea due to the parking problem; such is the popularity of the market. From clothes, fish, fresh produce, meats, nougat (extremely expensive if you don’t bargain properly to the amusement of Heleen) to antique tools, baskets and even bunches of lavender are on display in huge quantities. It was a great week, though a tiring week of traveling roughly 3000km, listening to 355 songs (trust me, I set-up the iPod playlist, it was 355 songs), having a beer or two, scratching many mosquito megabytes, blowing up matrasses, chatting in cafés, awing the lavender, following the Romans, celebrating van Gogh, dipping our toes in the Mediterranean, enjoying pizza and Provencial tastes over a glass of wine or two or six. It was a successful trip. 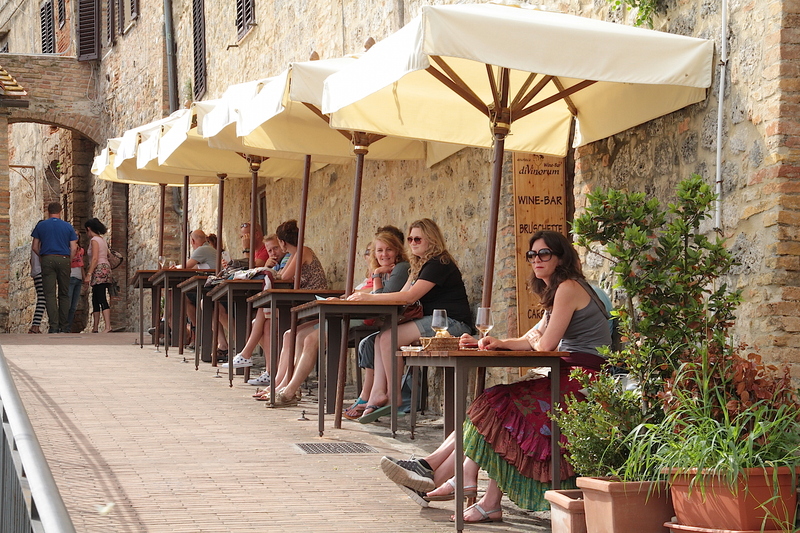 It was only the western part of Provence and a week was not enough. He’s great, he’s feared …. 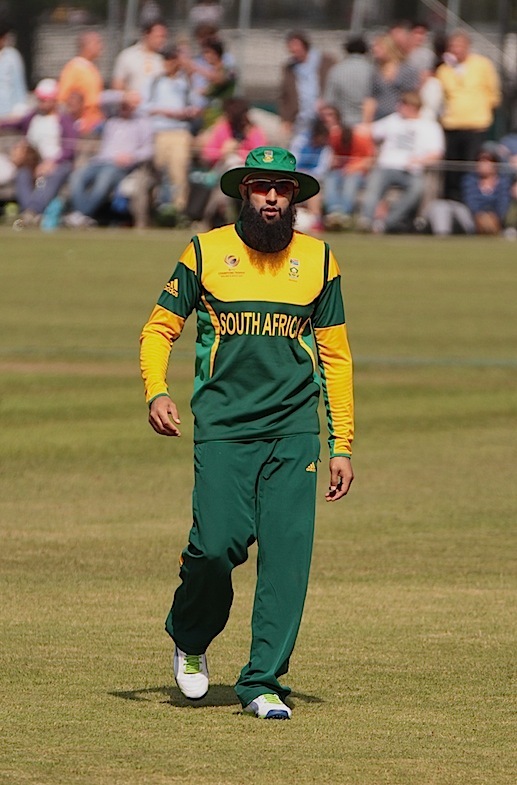 … and yes, he’s got a cool beard, Hashim Amlaaaaa. But greater than he’s beard was the Proteas’ visit to Amsterdam to prepare for the ICC Champions Trophy and their preparation included an ODI against the Netherlands. This provided the opportunity for many Saffas to see ‘their boytjies’ up close and live. Kitman says in 45 years it’s his first live match attendance of his team, and in Amsterdam nogal! 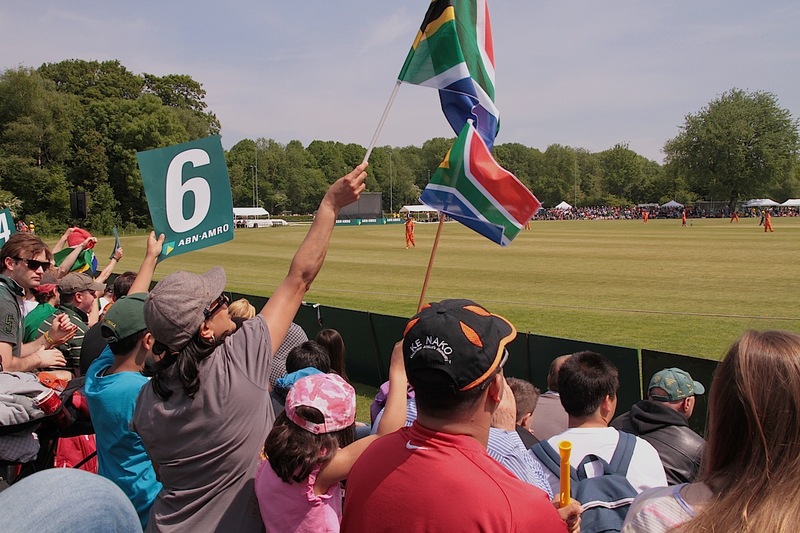 What an exciting and unique outing to be part of the small crowd at VRA Cricket ground in Amstelveen, in Het Amsterdamse Bos. 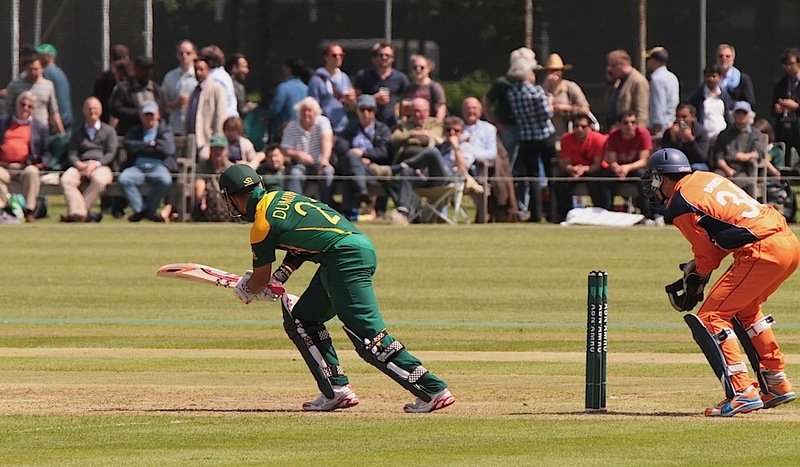 Sitting on the small stand (the ground has a capacity of just 4500 spectators), in this beautiful cricket setting felt like watching international cricket at the Irene Oval or some rural venue like, say Bergville or Himeville. 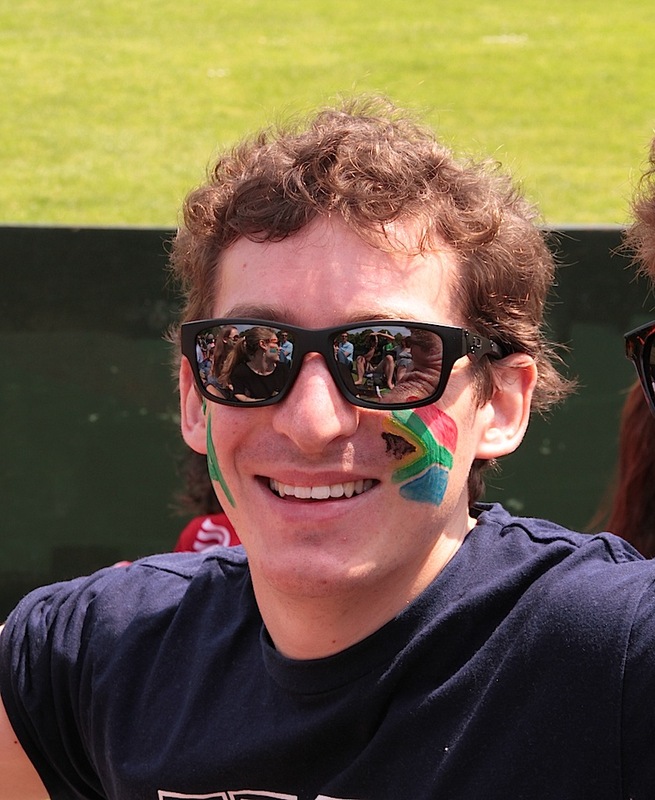 There were obviously plenty of South African flags and colours, though most of us (yes, me too) had to wear our Springbok attire, as we don’t own Proteas clothes. Maybe, just maybe the boys will deliver in the final and bring home (err sorry, I mean take home) a trophy, which will force my hand. 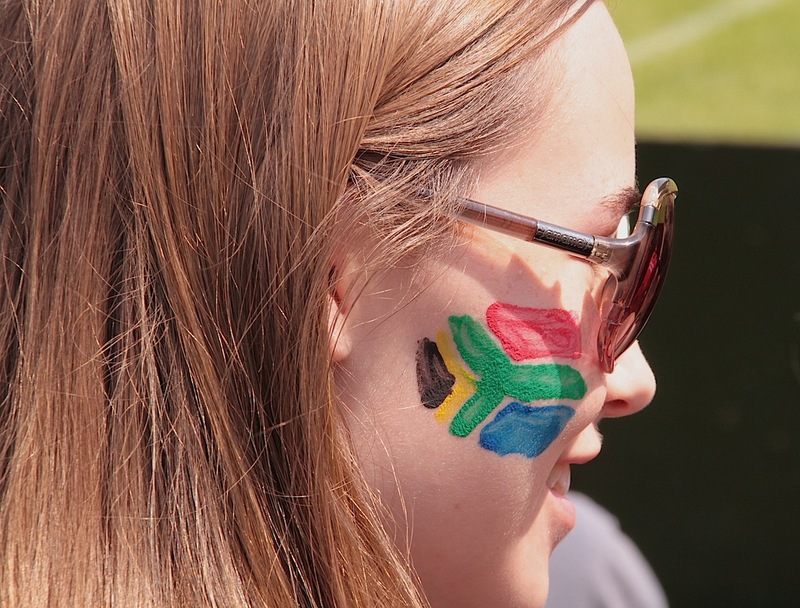 However, what was more enjoyable than seeing the many Saffas around the stadium was the actual Dutch support for their team in this perceived foreign game. 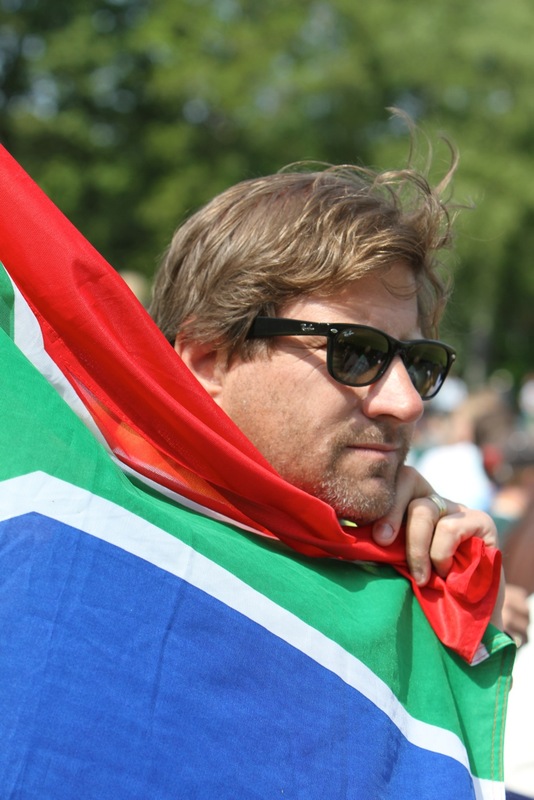 And how the Saffas grouped their neutral friends to be South Africans for a day. In front of us sat a group of international students of which two were South African. There they were, a Swede, two Canadians, two Americans, some-one else and even a Britt, al ‘proudly’ wearing their SA flags on their cheeks. 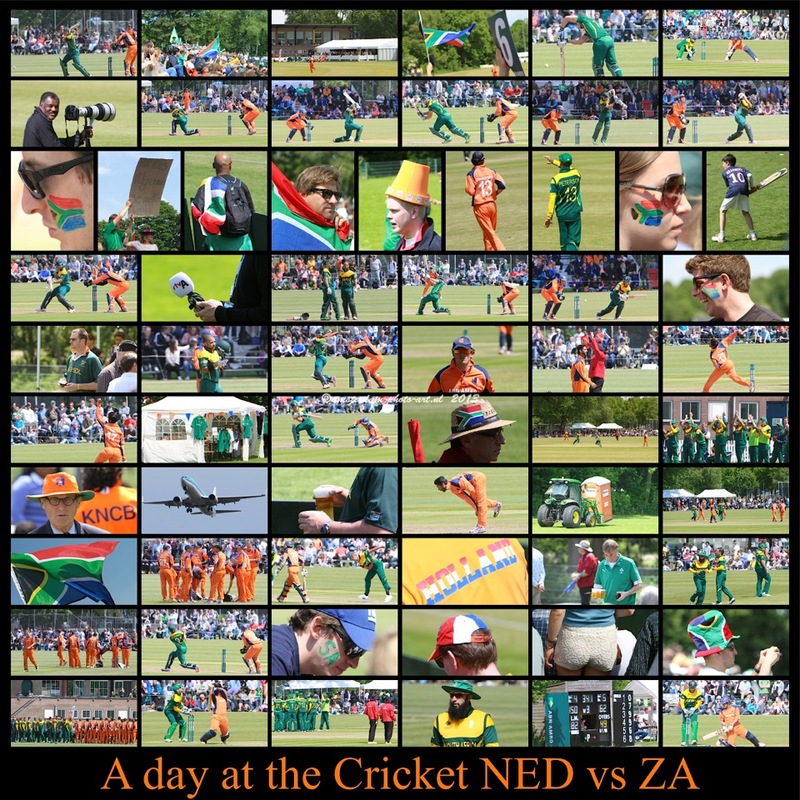 It did take explanation on the nuances of this odd game for the entire day to the Canadians and Americans but on their support for South Africa there were absolutely no doubt. 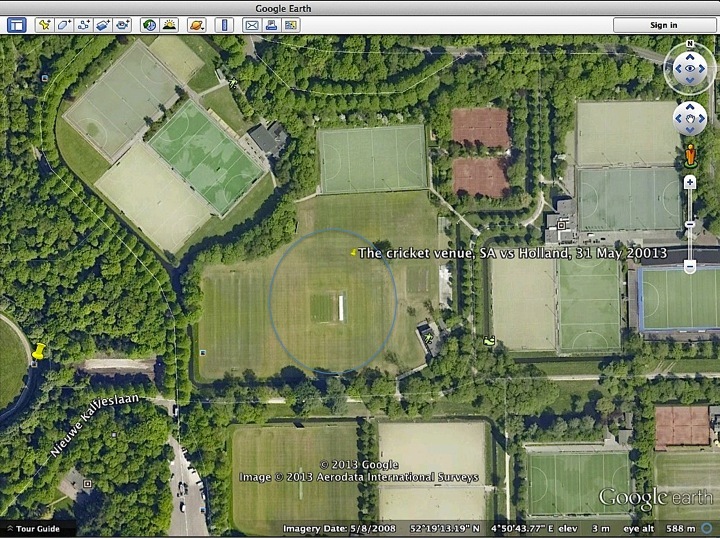 Cricket is not big in The Netherlands, though they have played cricket at this specific venue since 1939. The die-hard Dutch enthusiasts that were there are all huge cricket fans, passionately supporting their team and seriously hoping for another upset, as they have done in 1994 when they beat South Africa in an ODI. And while pondering this stunning event with my Dutch neighbour on the stands over a large local brew (reminder, the venue is set in AMSTELveen) in the very welcome and long overdue European sun, my said neighbour (to my shame I forgot his name) introduces me to a Dutch cricket legend Klaas-Jan van Noortwijk. So there I am, chatting away (as if I’m a Robin Jackman of some sorts) on the tactics, strengths and weaknesses of the 22 players in action with a guy who has scored a 4 off Allan Donald and who has gotten rid of Brian McMillan through a catch on his day. Klaas-Jan is certainly a cricketer of note; still holding the Netherlands’ individual highest score of 134 not out in the 2003 World Cup and being remembered for his 64 against England in the 1996 World Cup and obviously still a hero in the local cricketing fraternity as was evident in how often he is stopped for a few words where-ever he goes. 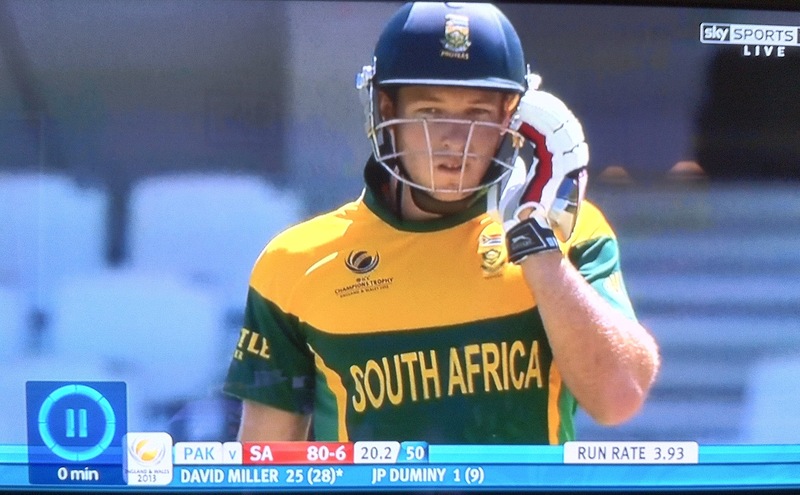 As with all sport, cricket can be such a cruel reality, as I am sure Dutch number 2 batsman Eric Szwarczynski (ironically born in Vanderbijlpark, South Africa) will still be thinking in weeks to come. After a brilliant spell of 98 against the current number 1 team in the world to then be run out from an excellent straight drive from your batting partner unfortunately through the fingers of Behardien, the bowler, onto the wickets to catch you out of the crease is probably the cruellest way to get your marching orders; a chance in a lifetime gone begging. In my humble opinion (I’m not really on the Robin Jackman level of cricket knowledge) I am however worried that, though they won on the day, the Proteas are not where they should be. Thanx to JP Dumminy, who stood tall for his 150 not out the win ended as fairly comfortable, yet not too convincing. 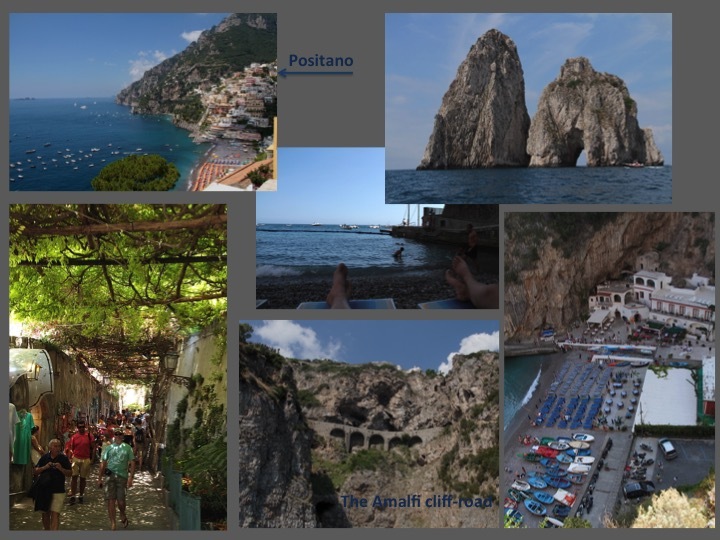 For us, however, the result was academic, as the outing, the sun, the sights and the pure delight was what made the day. This is what needs to be enjoyed when presented, results can be fixed. 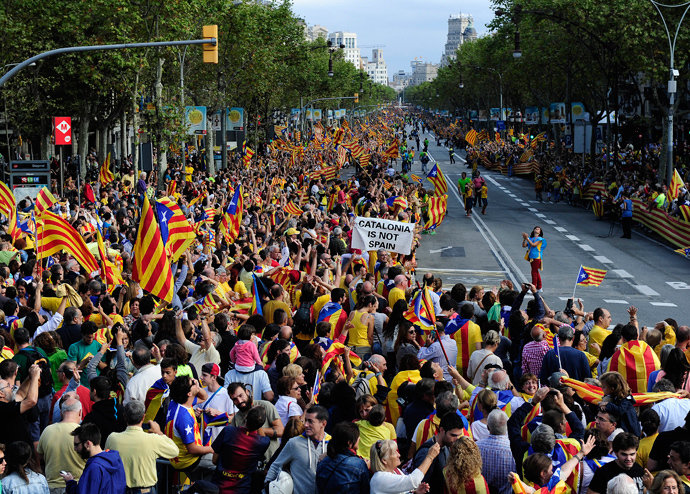 While living in Europe, every opportunity must be utilised, and this was no different. We had the opportunity to buy some real Boerewors from http://www.boerewors.nl and chucked in a couple packs of ‘karnemelk beskuit’ from www.beskuitblik.nl too. Can’t leave Amsterdam with just satisfaction and a cricket win under the belt; you need something tangible too even if I clearly know it will not last very long. 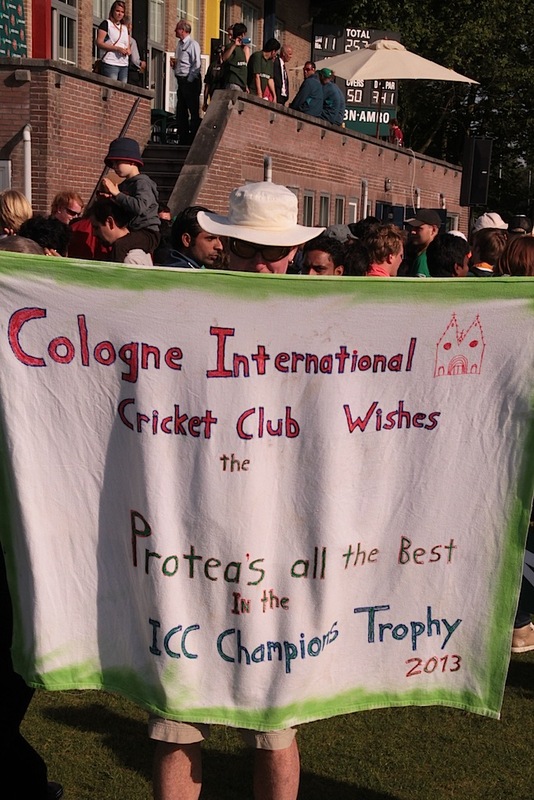 My sincere thanx to the Proteas for playing this game, getting amongst the fans who don’t often have the opportunity to see them other than on the telly, but who never lose the urge to support and appreciate Proteas cricket. Now, boys, go ahead and grab that trophy, even if your current warm-up against Pakistan doesn’t look too good. I mean, after all, …. ‘he’s got a cool beard’, you boys are feared. 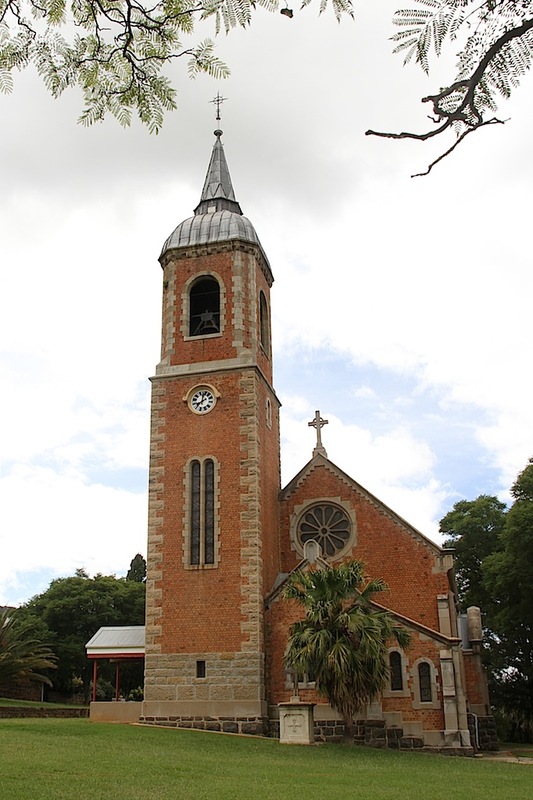 near Wasbank and the German Church at Elandskraal near Rorke’s Drift. I remember the permanent impact from the late 70’s which the German Church bazaar in October (it now makes sense) at Elandskraal made on me, complete with Oompah band, free-flowing beer and many different ‘würstchen’, smoked biltong, cold meats and maybe even a few ‘leder hösen’ doing the rounds. Most of these settlements were established as missionaries. This post however needs to start many years before my ‘junge’ days in Natal and first exposure to the interesting German ways and culture. 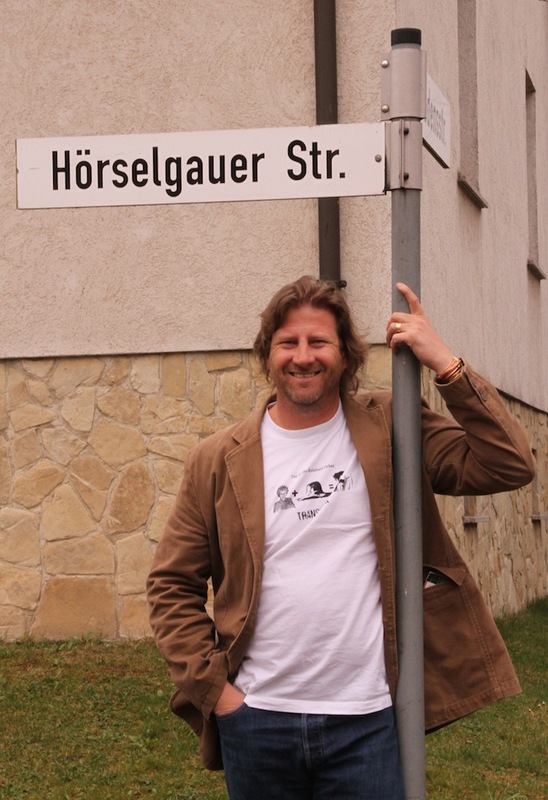 It starts with my great great great grandfather, Johan Carel Wilhelm Hörschelmann (who quickly became Herselman in South Africa) in far away Thuringia’s city Eisenach. It is here, where he was born and where he was baptised on 9 March 1760 in the ‘Evangelisch-Lutherische’ church. Outside Eisenach is Hörschel, the Hörschel river and Hörschel mountain where he originally comes from and where my surname comes from. These old guys weren’t too clever with spelling and some of the more stupid ones spelled their surname as Herschelmann or Hesselman. Germany was a difficult place to live in those years. With two centuries of bloody battle between the religious factions in Europe and Germany in the middle of all the conflict. The outlook of religious freedom, exemption from military service and even a better tax regime elsewhere were all reasons why many Europeans emigrated to the new world of America, Australia and South Africa. 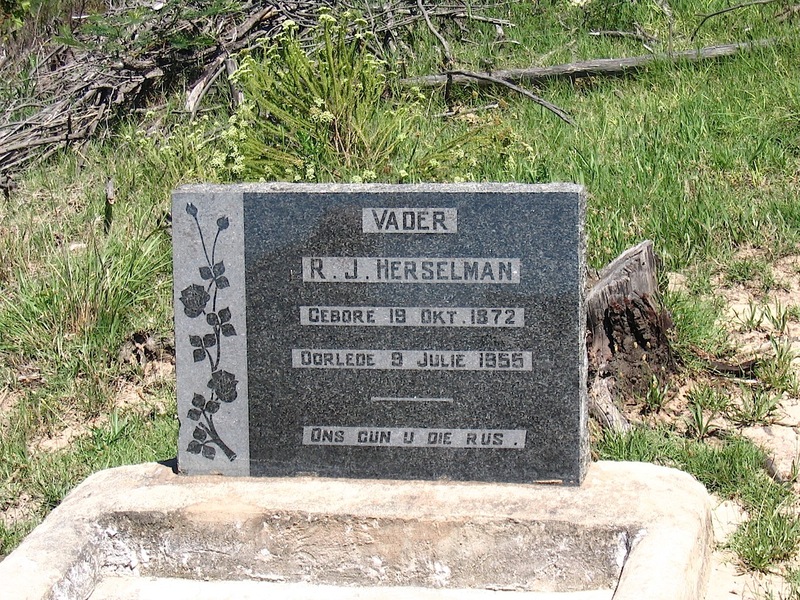 It was the same with Oupa Johan Carel Wilhelm. He was most probably tired of only being able to see ‘fußball’ and no rugby, (remember this was before satellite television) so he made a plan and joined the Dutch East India Company and arrived in Cape Town. Stepping off the ship and taking his time at the Paulaner Brauhaus for a beer before discovering the delicious the peri-peri prawns at Quay 34 in the VA Waterfront in 1785, he then started his career as a soldier. 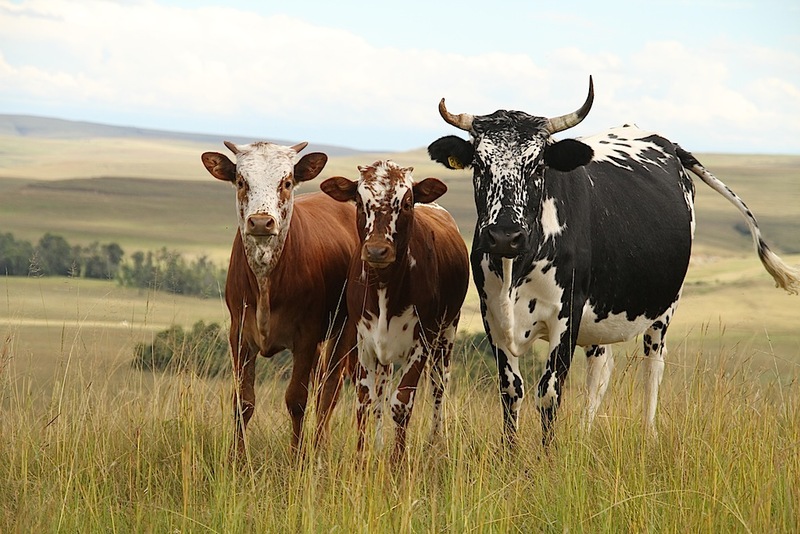 He obtained his ‘burgerregte’ (citizen rights) in 1791 and became a farmer in the Swellendam district. On Christmas day 1796 he wed Catharina Sophia Schoenmaker and in 1799, on 21 April, he married Maria Elisabeth Rheeder. I’m not sure what happened to Ouma Catharina Sophia. 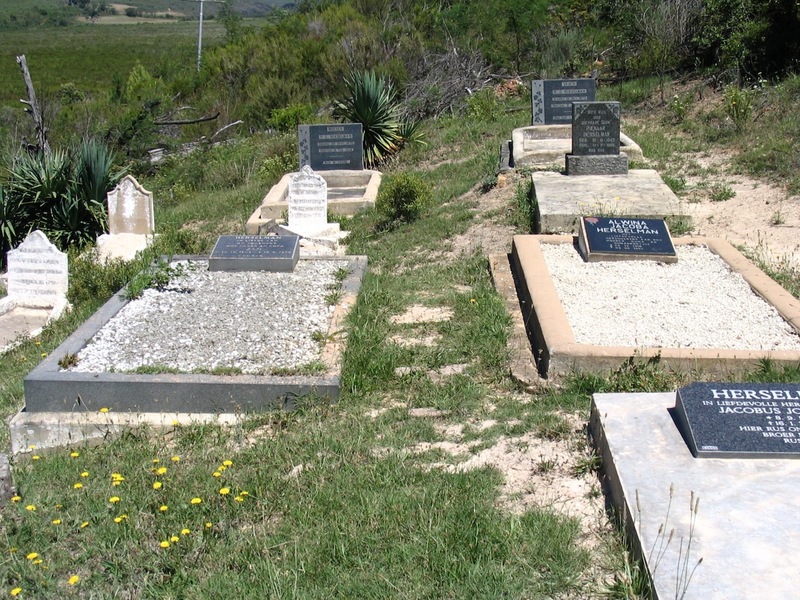 It seems Oupa hanged around Swellendam until 1816 before the wanderlust took him up the Langkloof to the farm Misgunt (33°52’21,96”S and 24°05’47,76”E) in the Walletjies area. Most of the property around here is still owned by people with the surname Herselman today. And the South African Herselmans spread from this, some to Northern Natal and later back to Germany, settling for the time being in Köln. Eisenach in the Thuringia is not only famous for giving the Herselmans to South Africa, it is also the location of Wartburg Castle and thus it is somehow fittingly that I grew up in Natal knowing the Wartburg near Greytown in Natal. Wartburg near Eisenach is a stunning stunning castle outside the town built as far back as 1067 on a hill with magnificent views over the surrounding countryside. It is here, in the Wartburg castle where Martin Luther spent time in 1521 in hiding, ironically from the church and emperor who outlawed him after he wrote his 95 theses. In a small room he stayed, writing and he translated the New Testament into German in just 10 weeks. It was also in this small room where he supposedly threw the devil with his inkwell in confrontation. It was also here, at Wartburg castle where a language professor from Dresden heard us speak Afrikaans to each other, was so intrigued that he came over and asked ‘welche sprache spricht wir?’ (What language we speak?) 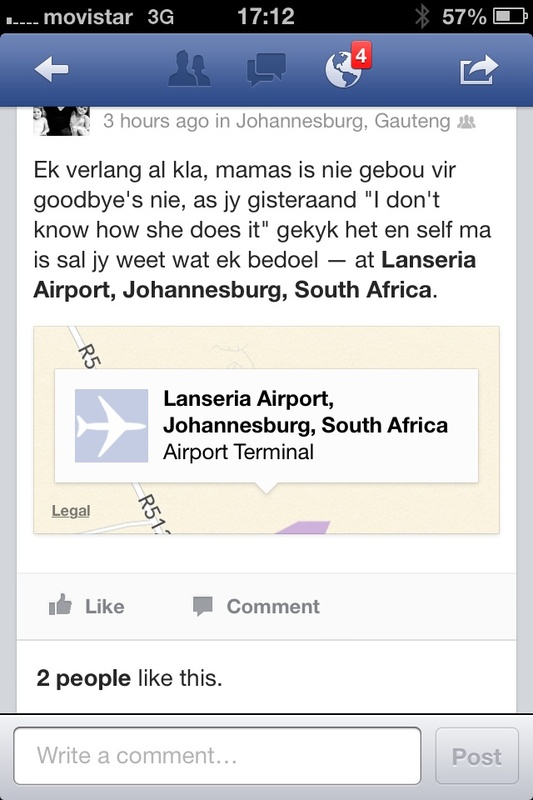 and was even more intrigued about Afrikaans as language. He was so happy to finally hear the language, as previously he’s only heard of it and I was particularly happy to be able to share it with someone interesting, and behind from the old iron curtain, nogal. 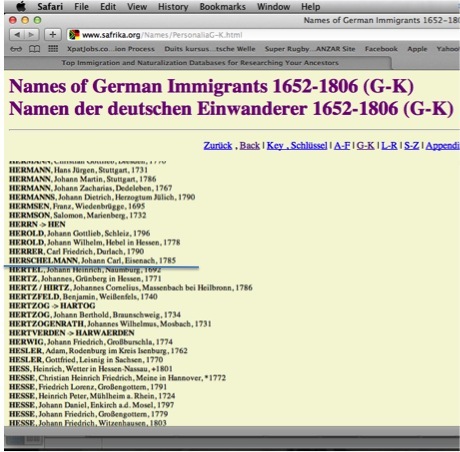 Thus, my heritage from my father’s side contains a strong direct link with Germany and I am actually very happy that he had such a serious wonderlust, as I pick up from internet research that many of the Hörschelmanns only ventured as far as Estonia. Imagine that, I could just as easily have been born there. Thanx Oups, otherwise I never would have ‘missed the rains down in Africa’.